The broad objective of the project is to develop a political, ecological approach to understanding the relationship between climate change, intellectual property (IP), and indigenous peoples. What is meant by this approach is a way of understanding the relationship between these three facets and how they are structured by political, economic, legal, historical, and socio-cultural processes. A political, ecological approach is thus an interdisciplinary approach. In particular, this project focuses on these facets as they pertain to Griqua and Nama peoples in South Africa. A further objective relates to the research process itself, and here the objective is to critically reflect upon our own institutions, their research regulations and how these influence power dynamics between the researchers and the communities with whom we partner. This research project responds to the problem that climate change, IP, and indigenous knowledge (IK) have each been normatively constructed through mainstream “naturalized” discourses that prevent more meaningful understanding of them individually and how they relate to one another. Such an understanding is imperative for developing more just responses for addressing climate change and its impact on indigenous peoples. Climate change has been historically characterized as a set of environmental changes that are perceived as “natural” and inevitable. The political, economic, and socio-cultural histories that contribute to climate change have only recently begun to be addressed. How is climate change impacting indigenous Griqua and Nama communities? How are indigenous Griqua and Nama communities producing indigenous knowledge related to addressing climate change and offering alternative strategies? How do indigenous Griqua and Nama characterize their knowledge as indigenous intellectual property (or not) and decide to openly share their knowledge (or not) internally or with the outside public? How and what types of laws and policies (including intellectual property rights) promote and/or hinder these indigenous strategies and open collaboration with the public? This project uses a political, ecological approach to understanding the relationship between climate change, intellectual property, and indigenous peoples. What is meant by this approach is a way of understanding the relationship between these three facets and how they are structured by political, economic, legal, historical, and socio-cultural processes. A political, ecological approach is thus an interdisciplinary approach. In particular, this project focuses on these facets as they pertain to Khoe peoples, and the Griqua and Nama groupings in particular, in South Africa. This project employs Participatory action research (“PAR”) design and methods aim to reduce the power relations within and between researchers/researched and hierarchies of knowledge production by involving marginalized groups within the design, implementation, and outcomes of the research. Rather than studying communities from the “top-down,” PAR takes a “bottom-up” approach by developing partnerships with communities to identify key issues of importance and develop ways of doing research, interpret results, and take action on the findings (Smith et al, 2010). This enables the research to better respond to the interests and needs of the community in ways that benefit the community (Maguire, 1996). A key challenge faced in the early part of the project was setting up the appropriate structures to enable the research to take place, the project needed to navigate two distinct ethics review processes, not just in different universities, but in different countries, plus agreeing unique contractual obligations with individual researchers. 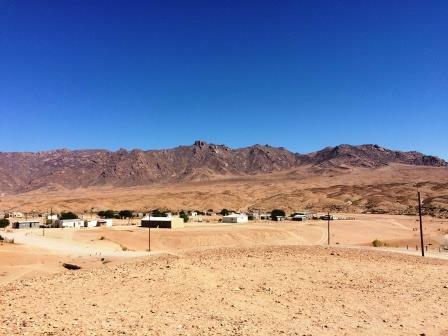 Another key challenge relates to the geographical remoteness of the communities, and the costs involved in accessing them, this is particularly for the Nama community in the Northern Cape. The proposed project had limited activities planned within the communities, the planned activities are taking place, however, a challenge is that the limited time within the communities has made it very difficult to engage a group of Griqua and Nama youth in PAR, as considerable time and training would have been required to develop a cohort of youth in this regards. Given the limitations, the project has focused upon capacity building key Community Co-Researchers in each community. Through the Institutional Review Board (IRB) process, we are finding that collaborative scientific research is facilitated, but also hampered by the regulatory processes that structure how human research subject is designed and carried forth. The IRB process serves to disrupt power relations between researchers and researched by ensuring the protection and informed consent of human subjects. At the same time, however, it secures power relations in its continued line drawing between expert researchers who produce knowledge and vulnerable subjects who produce mere ‘data’. Efforts towards more open and collaborative research process should begin by understanding these complex tensions that shape and are shaped by the production of knowledge. The IRB processes focuses upon individuals, and assumes that knowledge is individually held. It fails to fully engage with the ‘collective’ element of indigenous knowledge. To address this deficiency, and to further contest the top-down IRB process, ‘Community-Researcher Contracts’ are being developed to address issues relating to the collective protection of IKS, knowledge holders rights, ownership, and intellectual property-rights. Designing and conducting open science together with indigenous communities will require an ethical research approach that addresses both individual and collective factors relating to IKS and indigenous communities, and one where the communities themselves are equipped to lead and steer the process. Our preliminary findings are indicating that the current university ethics procedures, whilst well-intentioned, can create barriers to effectively implementing PAR with indigenous communities, thus rendering the scientific process not fully open to non-‘academic experts’. Furthermore, in terms of Indigenous Knowledge Systems (IKS), human subject research ethics processes, designed for individual interviewee’s/subjects do not take into account the collective nature of indigenous communities and how their knowledge maybe collectively held. The research is also revealing that it is not just the IK element of open science which needs to be carefully considered, but the entire research process itself, and the institutions, processes and actors within them. Designing and conducting open science together with indigenous communities will require an ethical research approach that addresses both individual and collective factors relating to IKS and indigenous communities, and one where the communities themselves are equipped to lead and steer the process. This paper will briefly assess the scope of the Paris Agreement outcomes under a legal perspective, with a particular focus on its innovations for indigenous people and local communities. In order to evaluate this issue, the most relevant outcomes of the Agreement will be preliminarily summarized, specifically distinguishing provisions which have a binding nature from those which just encourage parties to commit themselves or even represent hortatory or aspirational statements.1 To this aim, on the one hand, the wording of the provisions will be taken in consideration – and in particular, the distinction between “shall” and “should”, which in the UN language separates pure duties from mere encouragements. On the other hand, the overall “justiciability” of provisions will be evaluated, i.e. the existence of a sufficiently determined content so as to be able to assert if a Party is complying with it or not. In the light of this analysis, the reflections of the Agreement on indigenous peoples and local communities will be highlighted. BLOG: Should Research Communications Be Shared?